It’s also a new name for a concept that has been around for a while: 4PL. Companies are increasingly realizing that supply chain must become a core competency, and taking on the 4PL role offers them the ability to accelerate collaboration and achieve higher levels of performance. The control tower represents the common processes that are enabled by cloud-based technologies, such as configuring a set of services to business units and trading partners across a supply network. These services start with basic plumbing ‑ collect and aggregate all orders, shipments, inventory and status. 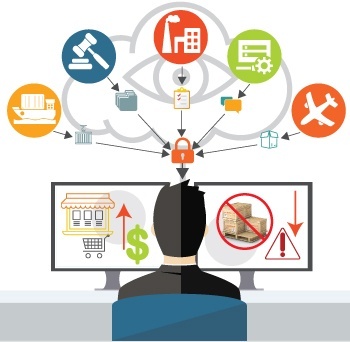 This information is linked to other enterprise systems to provide global visibility, then transformed to become the input for supply chain execution solutions. 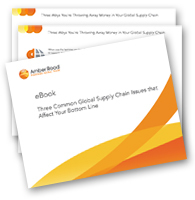 New eBook: "Three Ways You're Throwing Away Money in Your Global Supply Chain"
Today, the benefits of sourcing from low-cost countries and selling into new foreign markets are driving the vast majority of enterprise-class companies to go global. However, this globalization has led to increasingly complex supply chains with longer lead times, more pipeline inventory, and the need to control downstream and upstream logistics.